Lauren Chambers, Partner of Benefit Writers – A local full-service independent insurance agency. 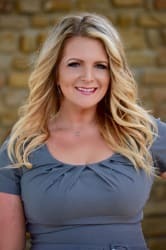 While a relatively new face within the Rockwall Area Chamber, Lauren Chambers is a Rockwall Native who has been in the insurance industry for over a decade before joining Benefit Writers. With a passion for helping individuals and businesses find the best coverage options for their needs, Lauren and her business partner Diane have designed Benefit Writers to be solution oriented agency with a consultative approach – always putting the needs of their clients first. Lauren was also most recently recognized for helping clients on a National level by being named a member of the 2019 Circle of Champions. When she is not helping her clients with health insurance and being involved within the Rockwall Area Chamber, she enjoys spending time with her two daughters who she resides with here locally and bringing awareness to charities benefiting the Rockwall Community.